The elder stood and welcomed us to the traditional territories of the Squamish and Lil’wat First Nation. As hundreds of delegates at the conference listened, the welcoming ended and we were told that there would now be a song. The drumming, the heartbeat of the Nation, filled the room. Almost simultaneously everyone began to stand until the whole room was standing in respect. At the conclusion, everyone sat down and the elder spoke in more detail about the territories, the history and then, they said they would do another song. Once again the heartbeat filled the air, however, this time only a few people started to stand. The vast majority remained seated and I seemed frozen in my chair unsure what to do. I realized that I actually didn’t know if I should sit or stand. What was the respectful and proper thing to do? 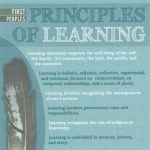 This was the first of a series of events through the summer that just had me thinking to myself – how can I support and help provide leadership in Aboriginal learning when I don’t even know protocols? It just didn’t make sense to me that I don’t even seem to know the basics and it was unsettling to me. My roots are deep on Vancouver Island. 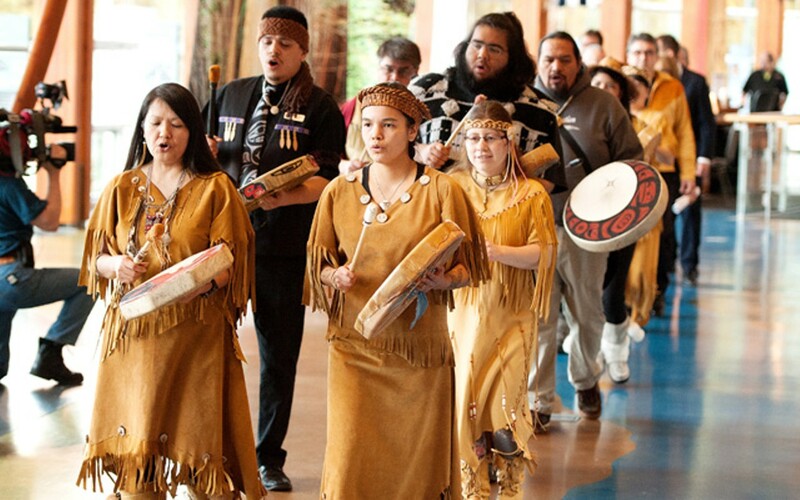 My first memories are in Alert Bay home of the Kwakwaka’wakw. I have grown up among many Nations. I have been blanketed, I have attended many ceremonies in longhouses watching dances and the wild woman of the woods emerge from the smoke and the dark. I have fought to have schools named to honour traditional people, but I don’t know when to stand. Maybe just being present doesn’t mean you are aware. The summer hit its stride and our family headed south. 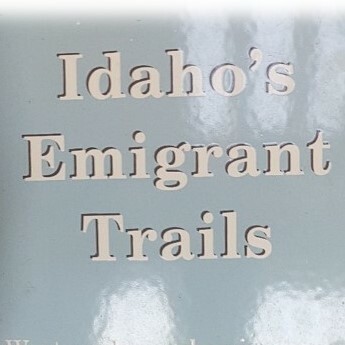 We stopped at a roadside rest area in Boise Idaho. 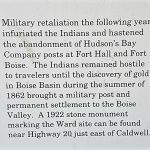 It was a junction of the Snake River and is an area of historical significance. My son and I stood looking at two signs and read them with interest. On the left was a sign of the importance of this location as the start of The Oregon Trail. 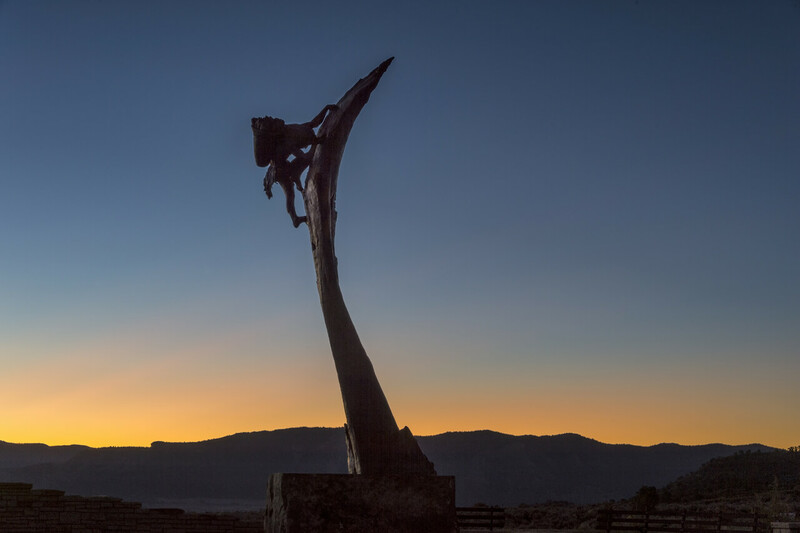 The sign honoured pioneers and their heroic efforts overcoming obstacles as they headed west. But wait a minute….what obstacles? Oh, that would be the sign on the right, the Indigenous people of the land. The sign on the right honoured the significance of these territories to indigenous people. 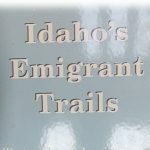 This was the home of the Shoshone and Bannock people for thousands of years. There it was again. That cognitive dissonance of something just not right. How could we have one sign honouring these supposedly brave and noble pioneers when just to the right there is a sign that they actually killed the indigenous people as a means to pave the way west? When the Indigenous people fought back, military intervention was required. 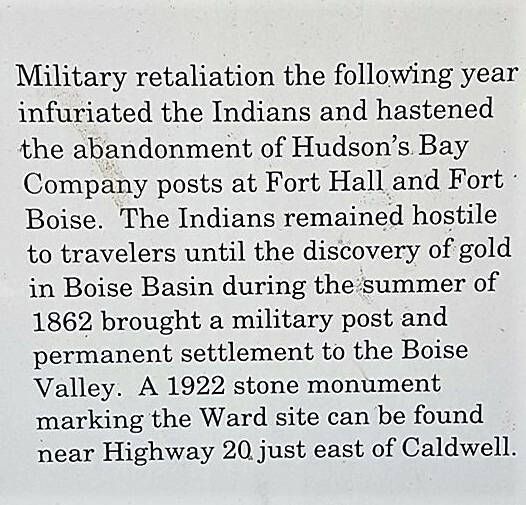 One sign even said “Military retaliation infuriated the Indians…and they remained hostile to travelers.” Imagine, being infuriated by your children and families being killed. How can these two signs sit next to each other and no one is asking questions? I left unsettled and more questions in hand. 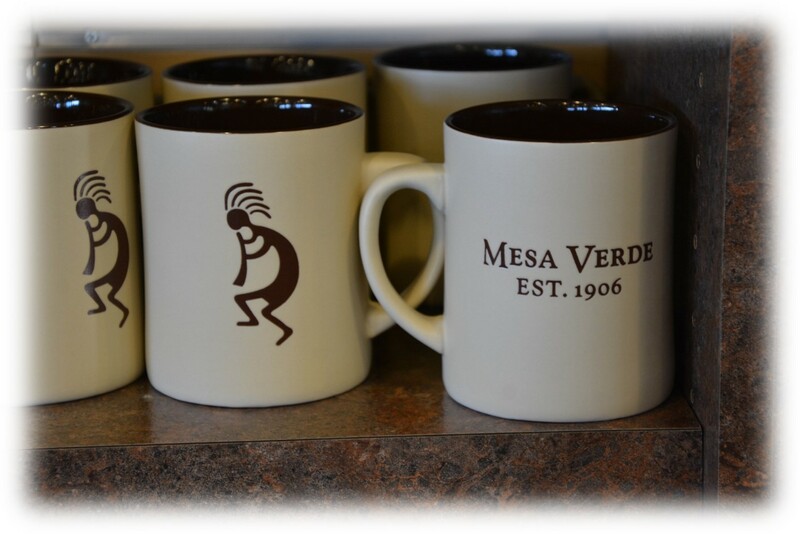 We reached our destination for the summer, Mesa Verde. Last summer we explored Writing on Stone in Alberta and this year it’s the cliff dwellings of the Pueblo people, the Anasazi. As we toured the park I was completely unprepared for the sophistication of what I saw. These weren’t little huts on a cliff. These were sprawling small towns where some of the single dwellings had up to 60 rooms. There are over 600 dwellings in the park and they date back to AD 550. Many of the signs showed the evolution of the people and it was almost 1000 years ago when these elaborate cliff towns were inhabited. It was amazing and inspiring. Then, thirsty and hot from the summer heat, we stopped at the gift shop. Cold lemonade in hand, we browsed the usual array of t-shirts and art. I stopped at a set of coffee mugs. 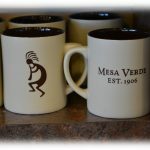 The small flute player Kokopelli on the side, the mug proudly stated: “Mesa Verde est. 1906.” There it was again. What do you mean established 1906? Just over the hill is a dwelling built in AD 600, highly sophisticated, still standing but it wasn’t until Theodore Roosevelt declared it a park that the 50,000 acres actually existed. How can we do that? Isn’t anyone asking? Why hasn’t this type of thing been clear to me before? Am I only noticing now and why is that so? We headed home and the school year begins. Part of our annual process is to speak to administrators about the road ahead. I wanted to tell my story of my own cognitive dissonance in learning over the summer as a way to say that we all need to learn and look through a critical lens. So, in normal form, I prepared my PowerPoint and, as usual, I needed some images. I use a lot of personal photos but I also use Fotolia, an Adobe affiliate, for images. I logged in and typed “Role Model” looking for an image to depict how we are all role models. 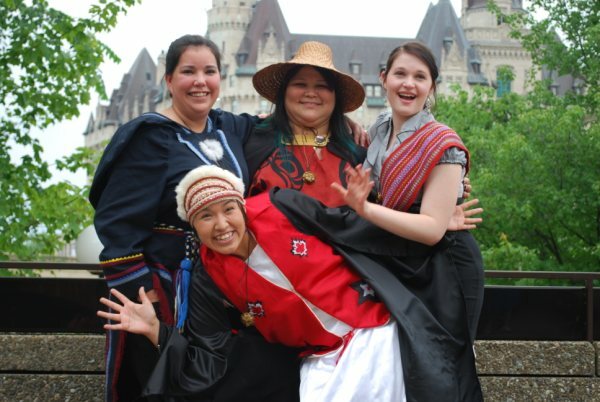 Many images appeared and there was lots of diversity in cultures, however, none were Aboriginal. 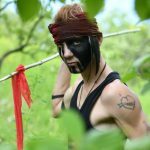 But wait I thought, it’s a US based site so I typed in “American Indian Role Model.” Up came many beautiful images of people of Indian heritage – but India proper. Again, no Aboriginal images. So I entered “Aboriginal Role Model.” Up came an image of a painted warrior with a spear deep in the forest. A menacing creature threatening the viewer. Wow. There it was again. 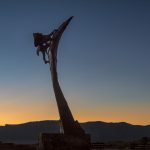 The images spoke for themselves and I was deeply disappointed and surprised by what I saw. I turned to google and typed “Aboriginal Role Model site:ca” to force me to Canada and I got what I should have got the first time. 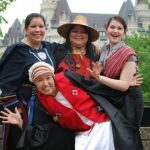 Hundreds of positive role model pictures of Aboriginal leaders young and old, male and female. I put those images both bad and good in my presentation to the district administrators. Part of the message was to show that we all have a lot of learning to do. If we want students to think creatively and critically and to be lifelong learners then we have to realize we are on that path too. If we want students to care for self and others, we have to as well. We have to admit what we know and what we do not know. We also have to look for what we do not see. The other message was that in our current climate, it isn’t good enough to be silent. When you see something that just isn’t right, it’s time to ask yourself what are you doing about that? Let your actions follow your beliefs. Show your values. In my case, I’m going to write to Adobe, I’m going to tell them what I saw and, as a paid subscriber, I’m going to say that unless they fix this quickly, I will no longer pay for their services. I am only one person but, I feel compelled to speak up. Silence is not good enough and they wouldn’t notice if I just unsubscribed. They need to know why. I also committed to myself to tell my story to our principals and vice-principals and beyond. 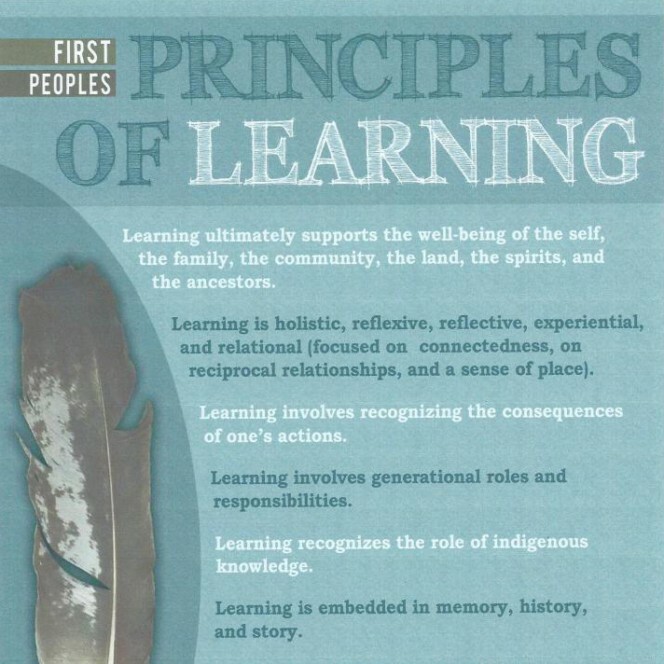 As we move forward to embrace First Peoples Principles of Learning as part of our new curriculum we also need to embrace the knowledge, culture and history that they developed. 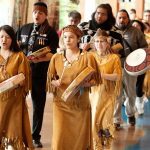 Maybe the first way to honour the very first statement: “Learning ultimately supports the well-being of the self, the family, the community, the land, the spirits, and the ancestors” is to just admit what we don’t know and to reveal our own path of learning. Clearly, there is much to be done and that journey, for me, starts from within. I know there is lots of support around me to help guide the way. If we don’t admit to what we don’t know, then we are only limiting the potential for our own growth and learning.